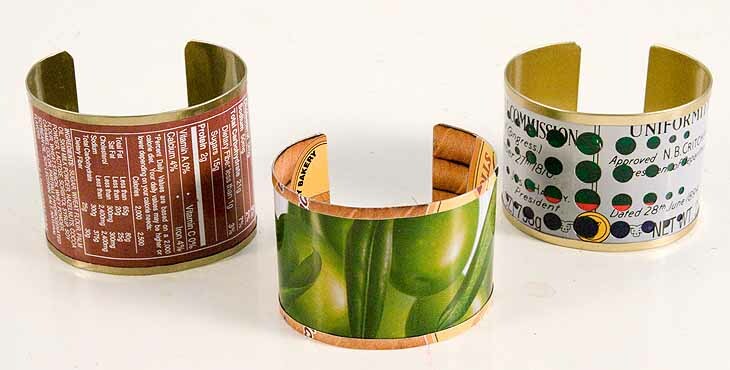 Sport your recyclables in style with this cuff bracelet. It’s a no-solder project that’s so easy to make that you can throw one together before a night out! Because we are all different sizes and prefer different widths of bracelets, I’ve made this tutorial more general, without a specific pattern to follow.